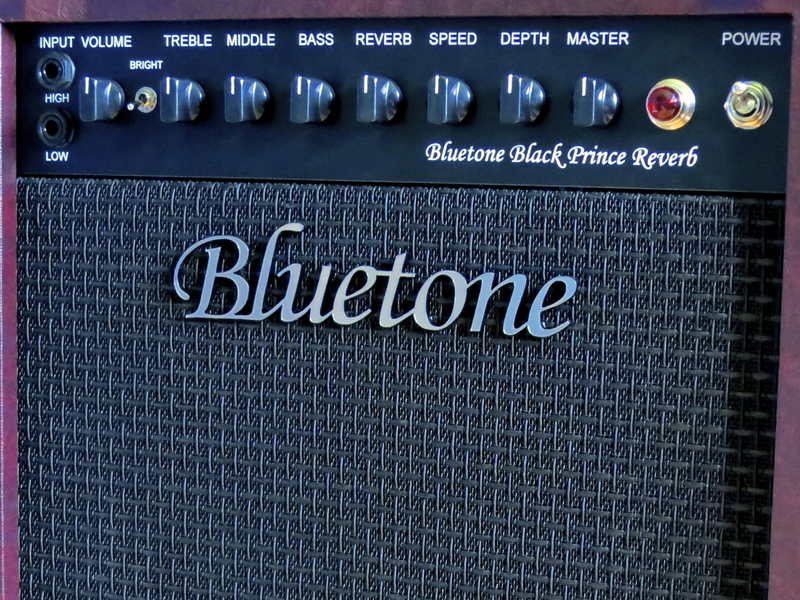 Bluetone’s dynamic duo – Harry Kneckt and Matti Vauhkonen – have recently decided to launch a second model range alongside their strictly custom-made amps. 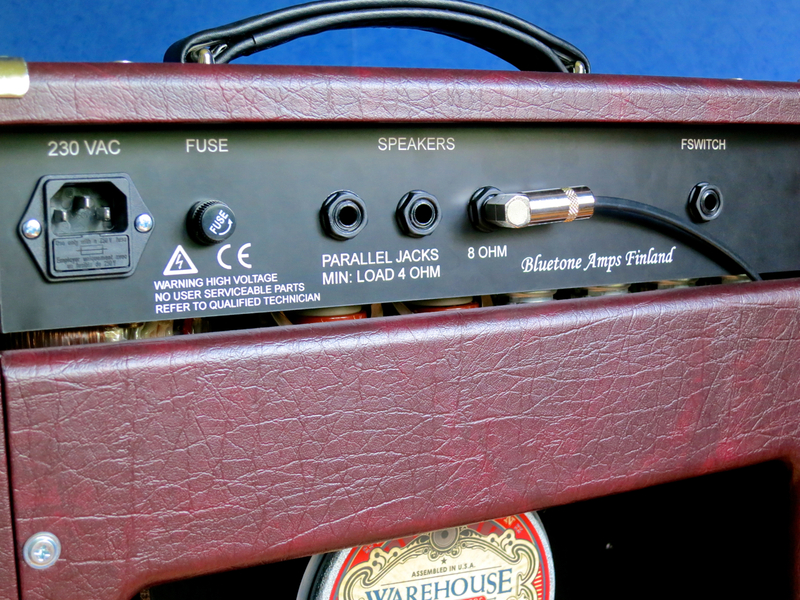 The new range will include a few models that will be made and sold “as is”, with only very limited options to choose from. 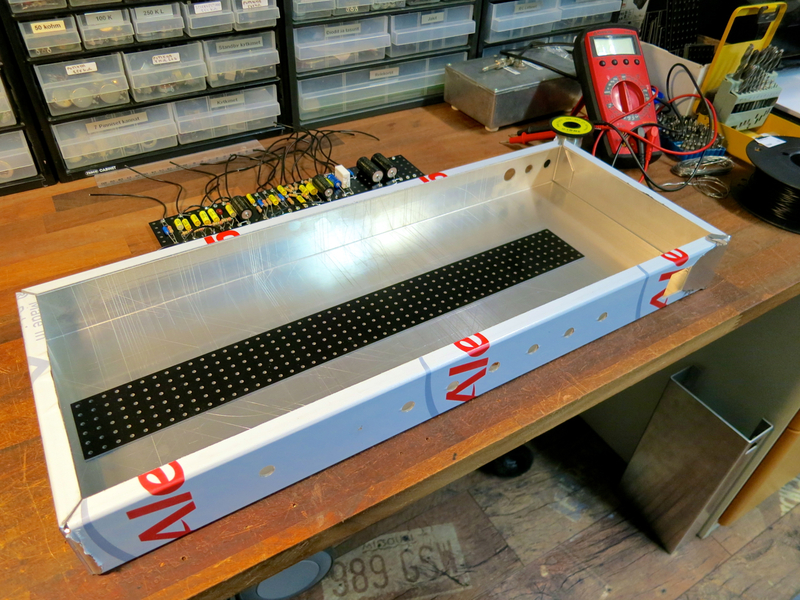 Bluetone’s hybrid boards are very sturdy PCBs made of fibreglass, and are of a considerably higher quality than what you’d find in mass-produced valve amplifiers. 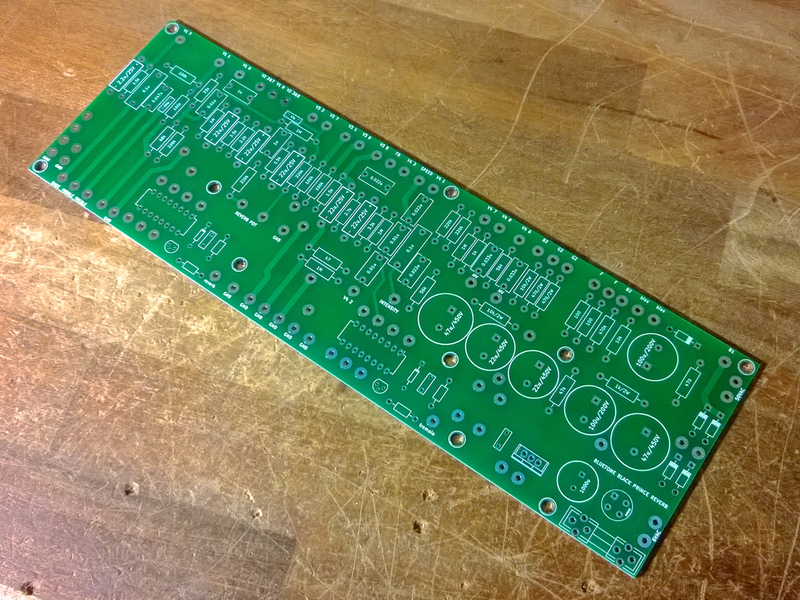 Each component’s place on the hybrid is clearly labelled, and some of the “wiring” is already incorporated into the board itself. 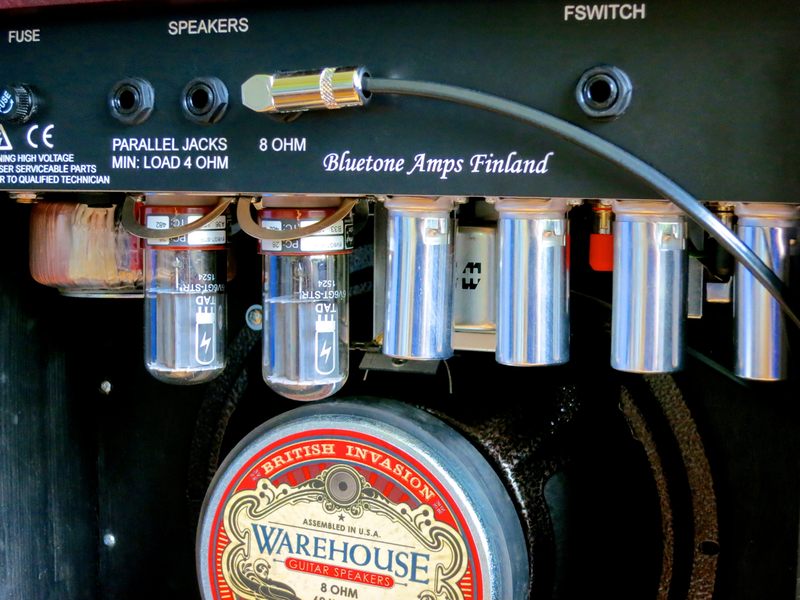 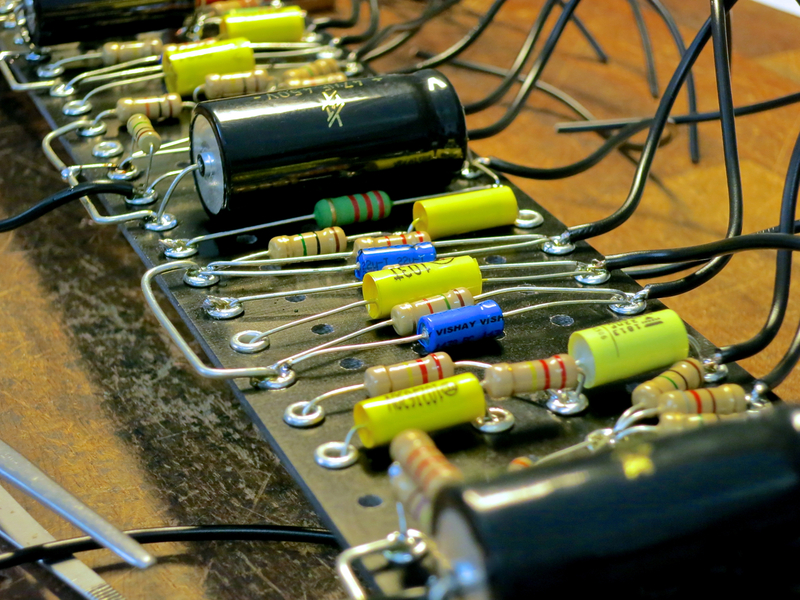 In contrast to many mass-produced affordable amps, Bluetone’s new range will see all tubes and transformers mounted securely to the metal chassis (like on their custom-made amps, too), and not directly on the PCB (like on many affordable Far Eastern designs). 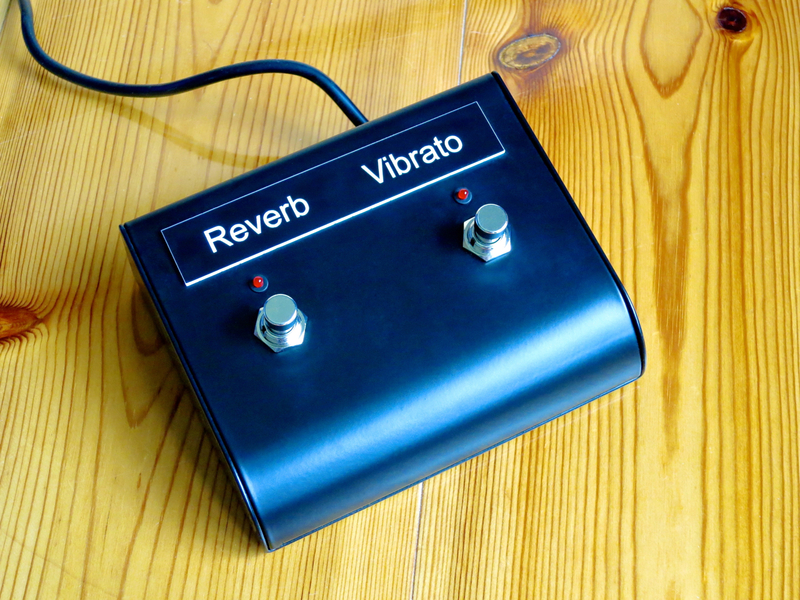 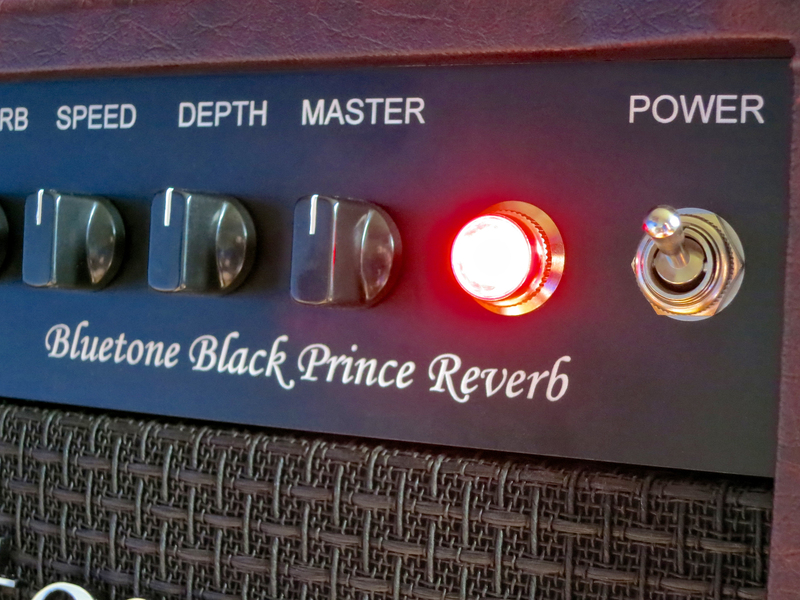 This compact and handy combo takes a lot of inspiration from Fender’s legendary “Blackface” Princeton Reverb (version AA1164), but due to the Bluetone’s many refinements you can’t really call the Black Prince a straight copy. 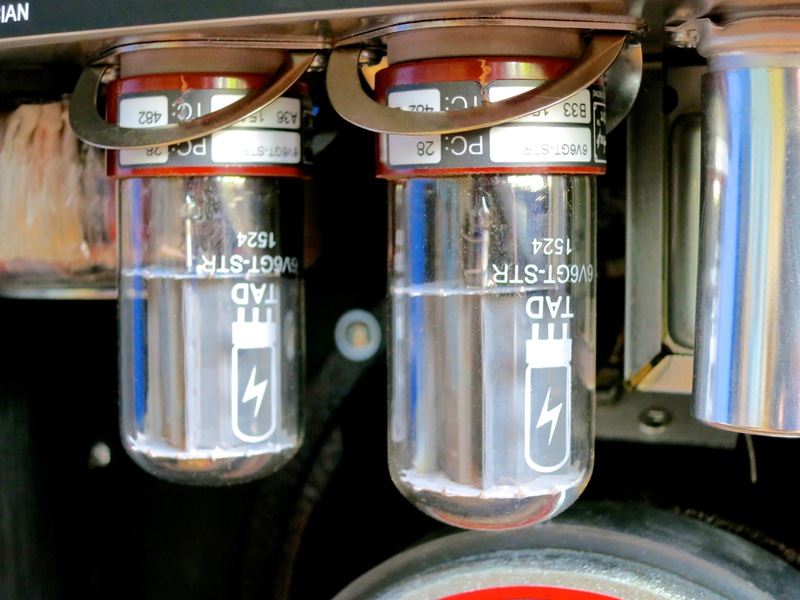 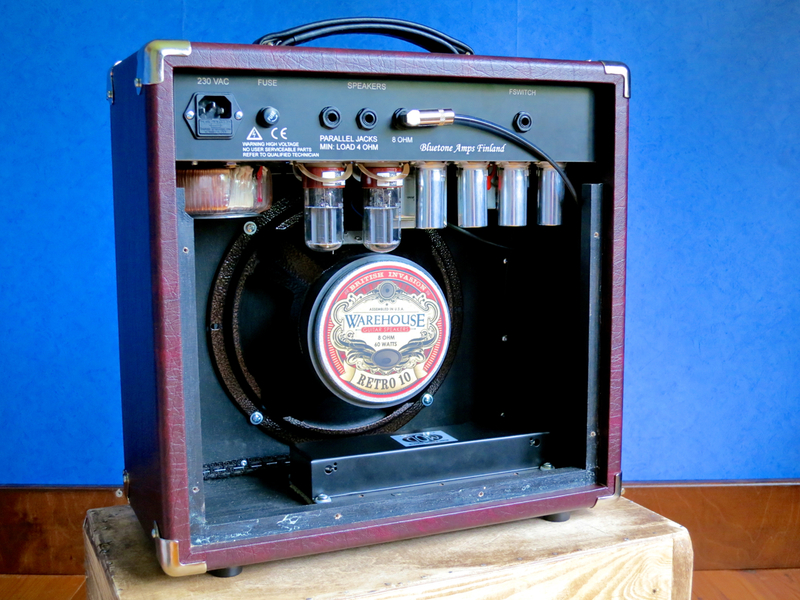 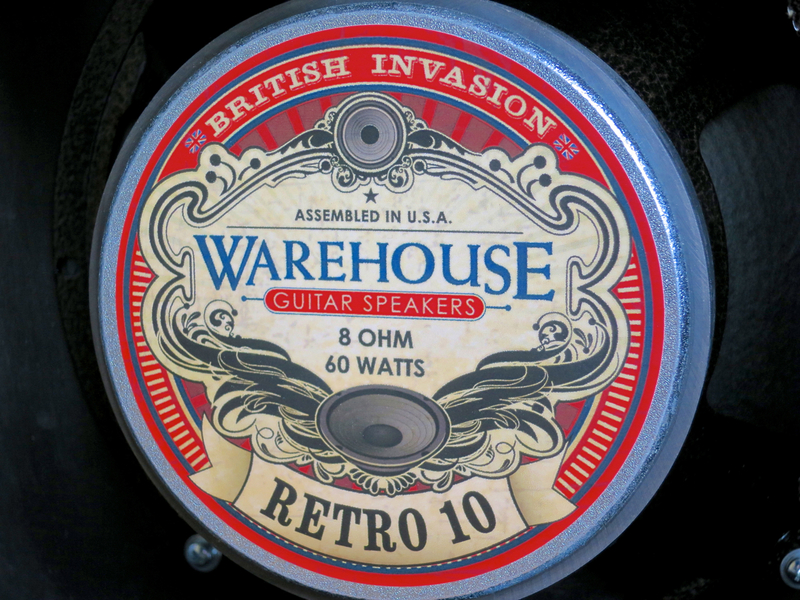 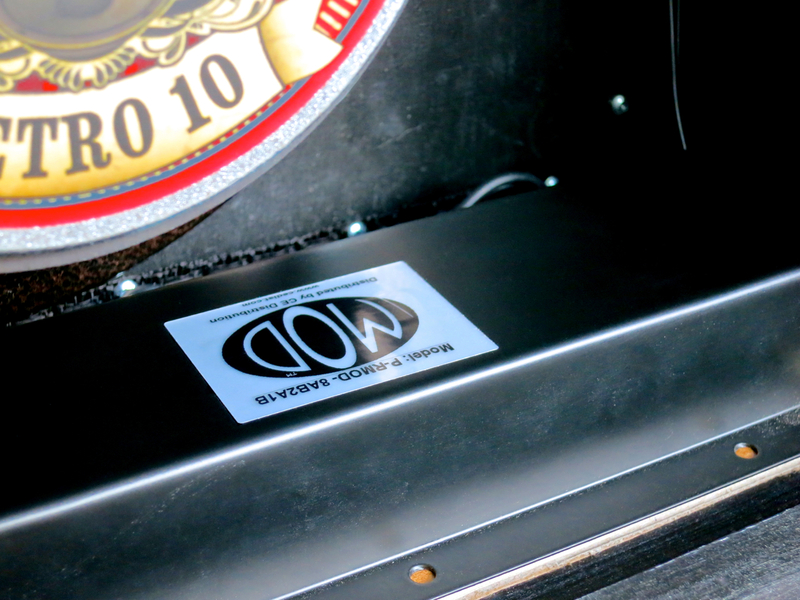 This amp hasn’t been spoiled by unnecessary “tube voodoo” or distracting graphic. 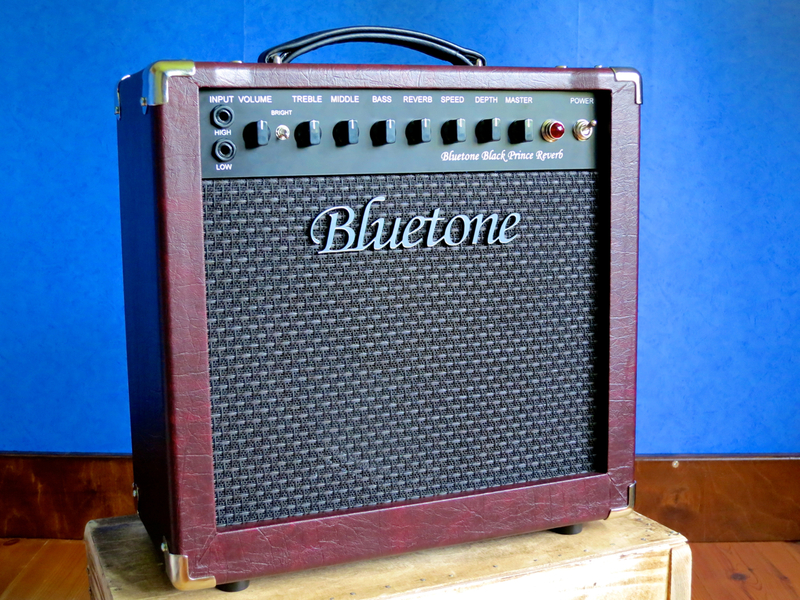 I’m all for the clean and understated looks this Bluetone has to offer!